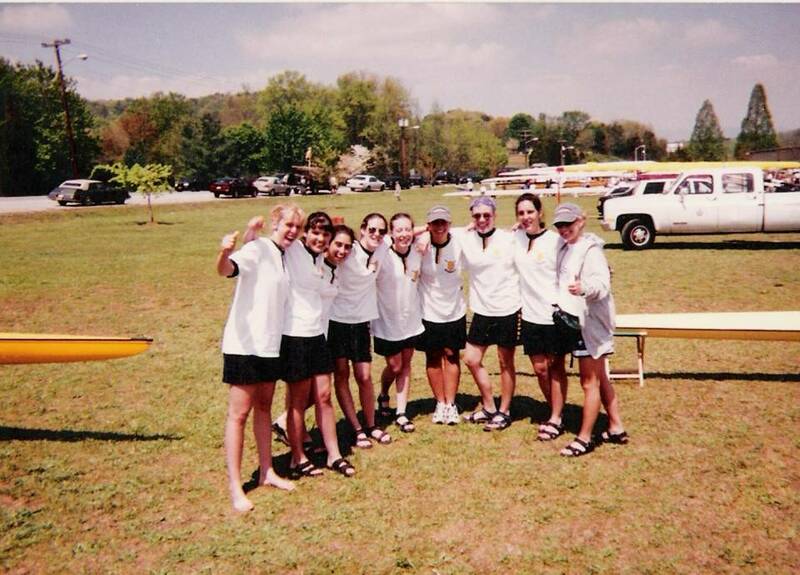 The first tryout for Murray State’s rowing club in the fall of 1996 drew an impressive number of perspective rowers—over 170! In the weeks that followed, Coaches Steve Marshino and Dan Lavit were pressed to find a reasonable way to manage such a large group of novice rowers. It was decided to split the group in terms of gender and weight. Following U.S. Rowing association rules, teams can field lightweight squads if all members weigh 160 lbs. or less for women; or 135 lbs. or less for men. For a very short time, there were enough members to field both lightweight and open weight women’s and men’s 8s. However as the inaugural year progressed, many dropped the team. 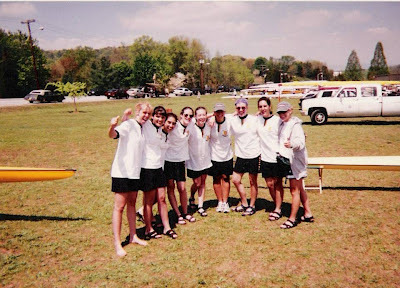 By the start of spring 1997, there were just under 30 founding members organized in three squads: an open weight men’s 8, an open weight women’s 8, and a lightweight women’s 8. In the following years, we moved past the uncertainty and naivety of a novice club that was just learning the culture of the sport of rowing. Since then, there has not been a “blue team” or a “gold team.” But, it is nice (or, perhaps quaint) to reflect that the emergence of this peculiar terminology was the result of our first coaches' efforts to be sensitive to everybody's feelings.